Every two years The Horrors release an album and every two years the music press greet the release as an advance in British indie-rock. Mixed by Grammy-award winner Craig Silvey, the band’s third album Skying is certainly at the forefront of the latest trend in British music. But that trend is not so much innovative as revivalist. 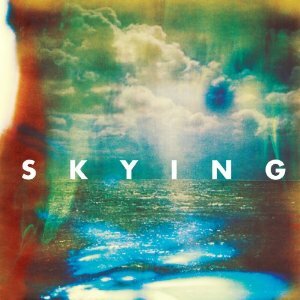 The foundation stone of Skying is baggy, the early ’90s sound that emanated from bands like The Stone Roses and Primal Scream, and it can be heard most clearly here on tracks “Changing the Rain” and “Dive In.” But The Horrors take on baggy headfirst by combining it with a fuzzy pop sensibilities. At times, the album recalls The Psychedelic Furs with Fari Badwan’s vocal delivery being reminiscent of ’80s Bowie. This pop vibe is most evident on “I Can See Through You,” which has a driving la-la-la sing-along hook. If ever there was a song made two decades too late it is this; it would be the breakout hit in a John Hughes movie soundtrack. Penultimate track “Monica Gems” takes the album into a different territory, recalling the Britpop of Suede. A great new release, but one steeped in rock history.